K-12 schools are moving away from the traditional desks-in-rows classroom model to a learning environment better suited to collaboration. At the same time, a digital transformation is taking hold, increasing the amount of time that students engage in digital learning activities both at school and home. In addition to the changing physical environment, the roles of teachers and students are changing as teachers becoming facilitators and students take ownership of their own learning as digital tools connect the curriculum to real life applications. Learning is expanding beyond the classroom to an open 24/7 model of access that supports student learning on multiple devices from multiple locations. Supporting all user devices and often multiple devices per user. Delivering robust, data-intensive applications, and collaborative activities. Enhancing security of the network particularly student information. Simplifying network design, provisioning, deployment, and scalability. An end-to-end model that features a robust wired network as the backbone. This is critical to delivering coverage and capacity. A robust wireless network that can support users in any location while giving IT the flexibility to prioritize certain types of traffic to support the most bandwidth-intensive learning tools. A simplified architecture that lets you grow and adapt the network without having to rip and replace infrastructure or add a new access point each time your needs change. 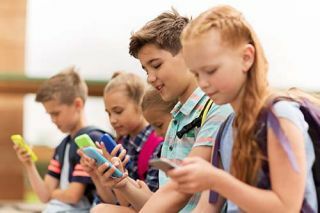 The highest level of network access security, enabling IT to easily onboard devices, authenticate users, extend visibility, and manage security policies for both BYOD and school-issued devices. This digital transformation is evolving as schools learn how to best support the acquisition of 21st century skills—preparing students for college and career. Embracing mobile, cloud, and related technologies are the most cost-effective ways for districts to provide both network coverage and a comprehensive digital learning environment that effectively and efficiently supports learning outcomes. Increase wireless to optimize for mobile: Gigabit Wi-Fi is the foundation of digital transformation for delivering enterprise-grade wireless so mobile users can roam and collaborate while accessing applications and data. Future-proof your wired infrastructure: The surge of wired devices and the increasing use of bandwidth mean that the wired infrastructure is as important as ever in delivering data up to 10 gigabits per second (GBps). Predict network issues before they happen: IT needs granular visibility into the access layer of the user, device, and application level to insure protection and availability. Secure the network with smart policy management: The Aruba ClearPass Policy Management Platforms leverage real-time, trusted, contextual data to allow IT to enforce trust on every user and device on the wireless, wired, and VPN networks. Choose from the resources highlighted below to help your district scale their network coverage and security to support new digital learning demands for students and teachers.